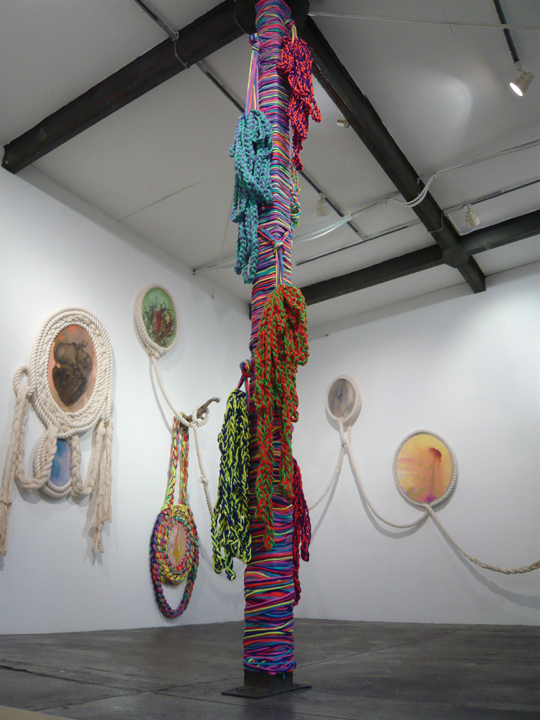 We are pleased to announce Italian artist, Sissi’s solo exhibition, “Over the glance ties the rope” at Mizuma Action. It is her first solo show in Japan. Sissi was born in Bologna, Italy in 1977. She received a degree from the Accademia di Belle Arti, Bologna. She has been the recipient of numerous awards, including first prize from the Fondazione Querini Stampalia in 2002, the New York Prize from the Italian Academy of Columbia University in 2005 and the Rome Prize from American Academy in Rome in 2006. Currently she lives and energetically works in Bologna and New York. 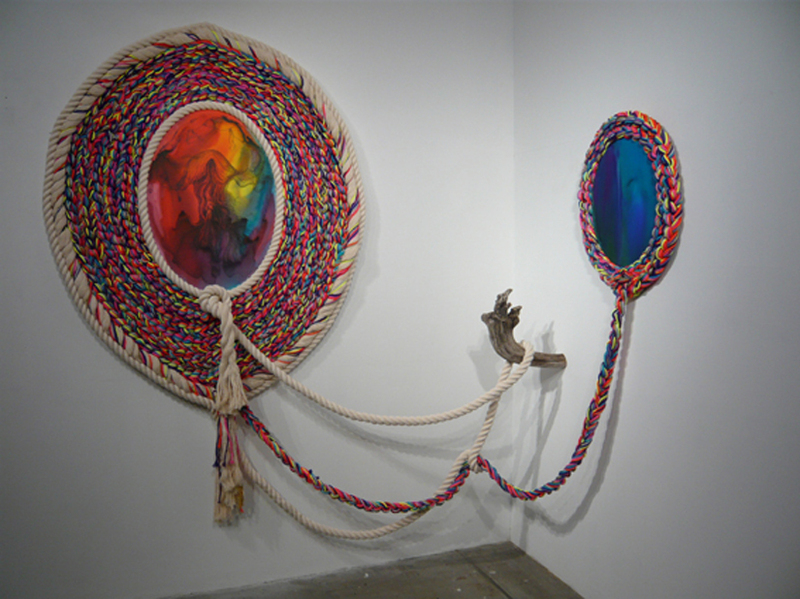 She participated in a group exhibition, which was held last march at Elizabeth A. Sackler Center, in Brooklyn Museum. 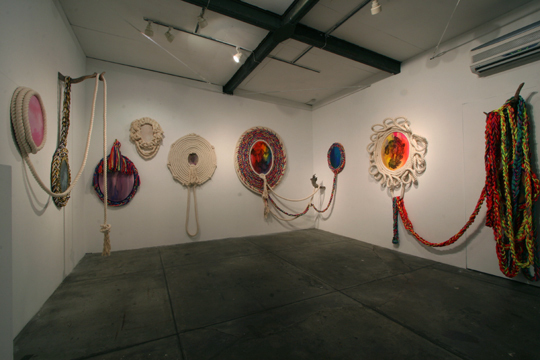 She attracted many audiences with an installation work titled, “The wings have no home.” Furthermore, she had solo exhibitions at different cities such as Belgrade, Rome, Amsterdam and New York, as well as group exhibitions abroad. Sissi who visited Japan for the first time, got the ideas from Shintoism culture, especially by its way of expression (rice straw used for decoration and ceremony, and ancient Japanese leash). 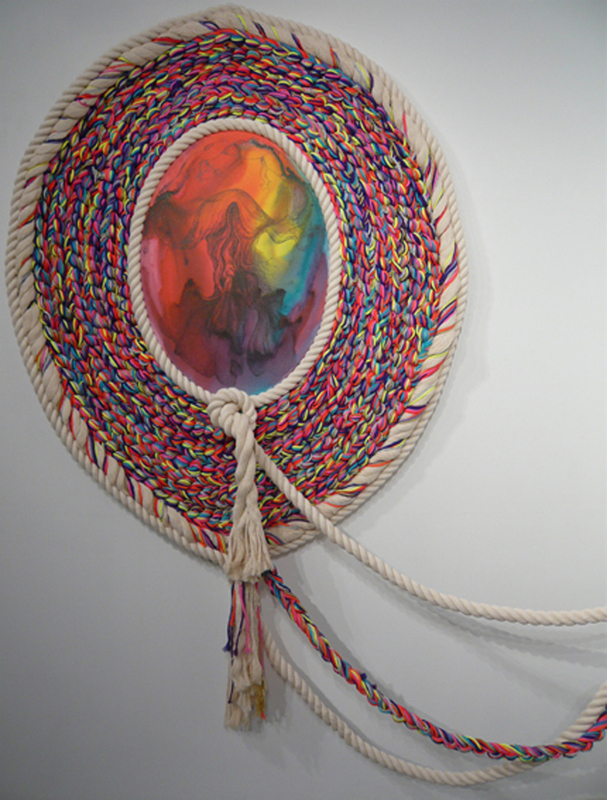 For this time, these ideas interweave with her personal experience and thought, and spread out as an installation with various colored and traditional ropes that hug the drawings on the oval canvas tightly. In the past, she has been combined different medias wisely such as plastic, bamboo and iron, and exhibited in a various forms as sculptures and done performance by being part of them. Facing the materials, she takes a time to absorb them in each step during her approach and they are transformed into the installations by her fingers. Sissi says that the source of expression lays within the body and its anatomy. When the inorganic materials she uses bond to organic elements, they become the words and forms that always reflect her approach to the drawings like a mirror. 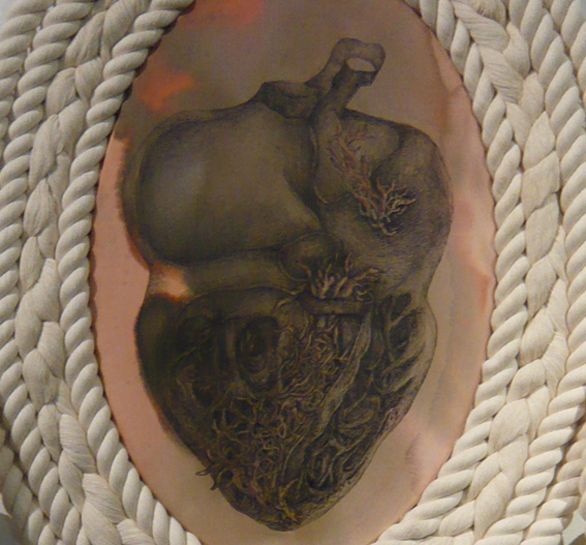 As if the life goes through, or vibrant blood flows through the body, the rope she wove swims and corrodes the room, and then goes back to their source. It looks like the lives that were given to us exist by relating closely to unity of each constitutive element.